Results: What started out as an ordinary instrument calibration task using silver turned into research gold for scientists at Pacific Northwest National Laboratory. Contradicting nearly 40 years of measurement history, the team observed in vacuum a rare form of silver: Ag(III). Aiming to calibrate an atomic oxygen source, they deposited thin films with varying levels of silver and oxygen, then measured the oxidation range of silver with an X-ray photoelectron spectrometer (XPS). The unexpected XPS signature gave researchers a silver surprise. 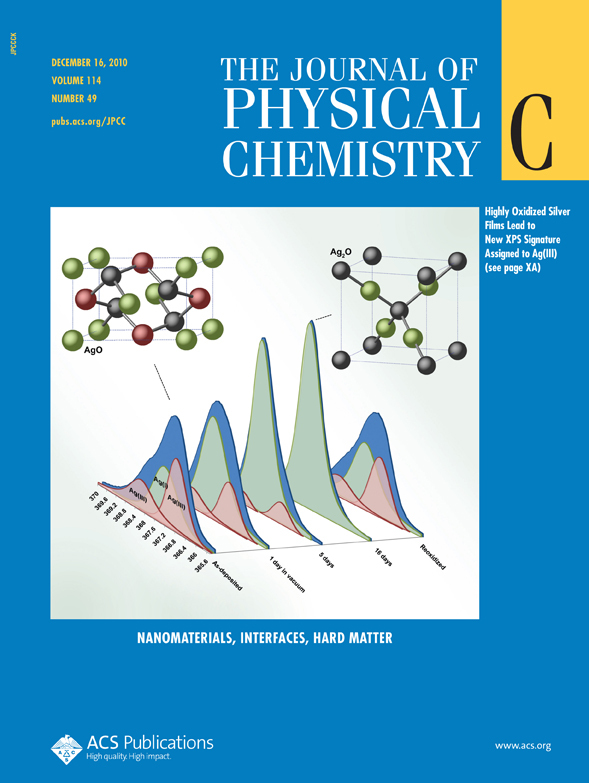 This research was chosen as the cover of The Journal of Physical Chemistry C for December 16, 2010. Why It Matters: Fundamental research can begin with a routine task, such as calibrating an instrument. Researchers may study a well-understood element, like silver, to characterize the behavior of their instruments. Discoveries are rare when performing instrument calibration, but it pays to be watchful when performing even the most perfunctory tasks. The pay-off for these vigilant researchers was a rare form of silver. "We thought we knew the spectral signature of highly oxidized Ag(III)," explained Dr. Tiffany Kaspar, lead researcher. "We found that the signature accepted for almost 40 years is incorrect. This research allows us to re-think a wide body of silver data in catalysis, electrochemistry, nanomaterials and many other fields." Methods: Deposition under very oxidizing conditions and in situ XPS employed by the researchers enabled them to observe the true XPS signature of Ag(III) for the first time. Using high-resolution XPS, researchers studied silver oxide thin films with a range of oxidation states. Within a vacuum deposition chamber, scientists deposited silver metal on a substrate. During deposition, they exposed the silver film to an oxygen plasma to oxidize the silver. They created different films using varying levels of silver and oxygen. Silver oxides tend to be very unstable, decomposing to silver metal when heated. Even at room temperature, highly oxidized silver will change over time. Previous studies of silver oxidation states were not able to capture the range of oxidation this study has elicited because of contamination from atmospheric exposure, varying temperatures, or harsh conditions during measurements. Because the XPS is connected in situ to the deposition chamber, researchers could measure oxidation levels without exposing samples to air or taking them out of vacuum. For each film, the researchers measured the position of the peaks produced in the XPS to determine the oxidation state, or number of electrons given to oxygen, of the silver atoms. An unexpected peak position and shape was observed for the most highly oxidized film. The researchers determined this peak arose from Ag(III), contradicting the original peak position assignment accepted since 1973. Theoretical calculations of the XPS of Ag(III) support this new assignment. What's next: Next up is using an in situ deposition and oxidation capability, accompanied by in situ XPS, X-ray diffraction, and the X-ray absorption spectrometer to continue to investigate how this important material chemically reacts with oxygen. Acknowledgments: This research was funded by the U.S. Department of Energy (DOE) Office of Science, Office of Basic Energy Sciences and performed using instrumentation at DOE's EMSL, a national scientific user facility at PNNL. Reference: Kaspar TC, T Droubay, SA Chambers, and PS Bagus. 2010. "Spectroscopic Evidence for Ag(III) in Highly Oxidized Silver Films by X-ray Photoelectron Spectroscopy." 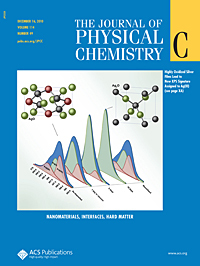 Journal of Physical Chemistry C 114(49):21562-21571. DOI: 10.1021/jp107914e. Oxidation is the loss of electrons in a reaction in the presence of an agent (such as oxygen) that gains the electrons. The formation of rust, where iron loses electrons to form iron oxide, is a type of oxidation.